Join all Valley Papa Murphy’s Pizza locations in this important endeavor to hydrate the homeless population of Phoenix. Drop off a case of water between July 1- July 31 to any Valley Papa Murphy’s Pizza location and receive a coupon for $5 off a Family Size Pizza. Limit one coupon per person during the month of July 2016, coupon is redeemable on in-store purchases only. The bottled water collected at Phoenix Metro Papa Murphy’s Pizza locations will support the Phoenix Rescue Mission’s Code Red summer heat relief for the homeless. This is the fourth-year of the life-saving campaign, which last year distributed more than 827,000 bottles of water on the streets. This year’s goal is to collect 1,000,000 bottles of water. Papa Murphy’s Pizza is proud to be part of this effort. Papa Murphy’s Holdings, Inc. is a franchisor and operator of the largest Take ‘N’ Bake pizza chain in the United States, selling fresh, hand-crafted pizzas ready for customers to bake at home. 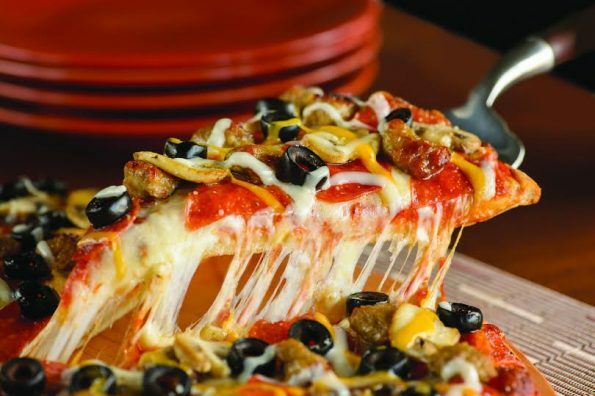 The company was founded in 1981 and currently operates more than 1,500 franchised and corporate-owned fresh pizza stores in 38 States, Canada and United Arab Emirates. Papa Murphy’s core purpose is to bring all families together through food people love with a goal to create fun, convenient and fulfilling family dinners. In addition to scratch-made pizzas, the company offers a growing menu of grab ‘n’ go items, including salads, sides and desserts. For more information, visit www.papamurphys.com. Find Papa Murphy’s on Facebook at www.facebook.com/papamurphyspizza. About Phoenix Rescue Mission: Phoenix Rescue Mission provides Christ-centered, life-transforming solutions to persons facing hunger and homelessness. The nonprofit Mission, which has been operating since 1952, is asking the public for support of its many programs designed to save lives, including Hope Coach Street Outreach, Homeless Emergency Services, Men’s Addiction Recovery Program and the new Changing Lives Center for Women and Children. For more information, call (602) 233-3000 or visit www.phoenixrescuemission.org.